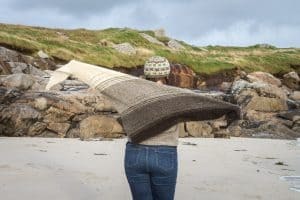 I’m just emerging after a week away in Shetland, but it is so lovely to see so many people taking part in our Fieldwork make-along, which celebrates 100% wool from vendors at this year’s Edinburgh Yarn Festival. (21st-23rd March). We cast on yesterday and we are making right up until 17th March. You can read a bit more about this make-along in this post – knitbritish.net/fieldwork. It may be that you are wishing to join in, but need a little titivating with wool suggestions so I thought I would pop in with a few for you. If you don’t need suggestions and you just want to browse your stash for yarn sellers which qualify, you can peruse the exhibitor list over at edinyarnfest.com and also check out the wool exhibitors for the Make:Wool event on Sunday, 24th March . 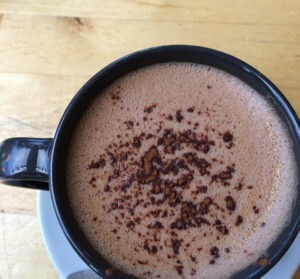 Then jump on over to our Fieldwork thread in Ravelry group and start chatting. The golden rule to remember (in addition to it being from an vendor at EYF2019) is that the yarn or fabric you use needs to be 100% wool. It can be a blend of different sheep breeds, but it must be 100% sheep wool. I’m going to share a few of the vendors which you may have heard about right here on the podcast and website before. The list of exhibitors is very long, so I am not going to mention everyone as you can visit the links to EYF vendors and see for yourself. These are mainly – in no order whatsover – some of the vendors I’m excited to see. I’ve included vendors of mostly British wool here cos that’s my own bag, but you don’t have to use British wool for this MAL, it just has to be from an EYF vendor and 100% wool. 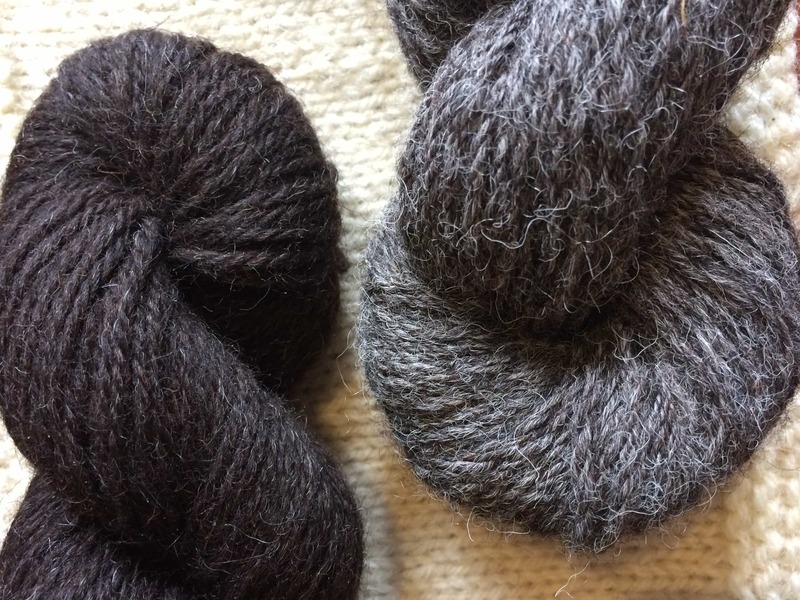 Black Isle Yarns – Vending at the Sunday event for the second year, Julie Rutter produces sustainable yarns from locally sourced fleeces in the Scottish Highlands. Julie then has the wool spun into blends and single breed yarns, right here in the UK. Black Isle Yarns produce blends with alpaca and mohair too (so do read your labels for this KAL) and you can hear me interview Julie in episode 75. 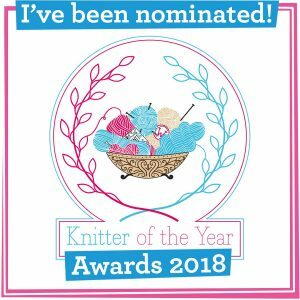 Life Long Yarns – Some of our Woolly Muckers reviewed the Life Long Yarns Scottish Blackface blend yarns in 2017 (you can read the reviews here) and Pauline and Sarah will be vending at the Make:Wool Event. The yarn ranges have included Blackface blends with cheviot, southdown and Shetland and in the last few months they have a new blend which is blackface and BFL. 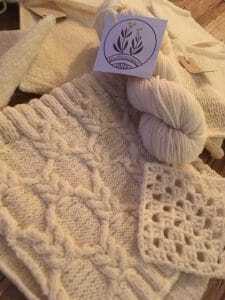 Daughter of a Shepherd – Rachel’s first show (I think) was Edinburgh Yarn Festival, and her wool range has expanded since the first Hebridean yarn to incorporate Brume, Ram Jam and now a beautiful Castlemilk Moorit yarn. I know many of you have DOAS in your stash awaiting a cast on excuse! 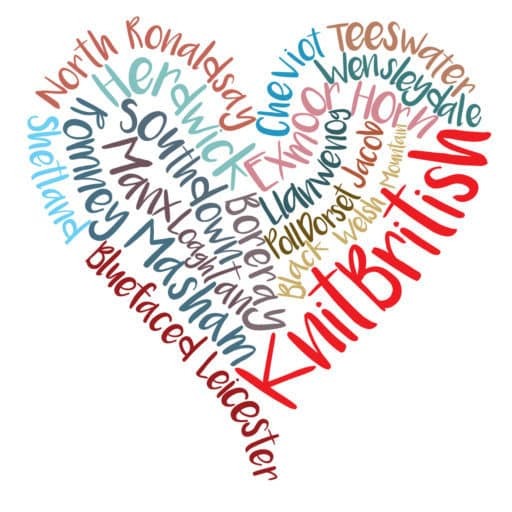 There is a blog interview with Rachel here at KnitBritish. my Gryer shawl in Ram Jam. South Downs Yarns – I am so delighted to see Louise Spong is going to vend at Make:Wool om Sunday 24th March. Her southdown yarns are single flock and bred in the South Downs. She works closely with the shepherds to produce yarn that is utterly traceable. You can hear me interview Louise in episode 108. 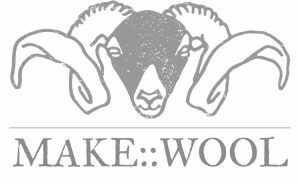 Hawkshaw Sheep – Sue Horn has been creating yarn from her own sheep flock, in the Borders, for a few years now and you may have seen her vending at woolfest, Meet the Shepherdess, St Abbs and other woolly events. She has recently begun hand-dyeing her yarns too. and she sells rovings and batts AND tweed cloth. 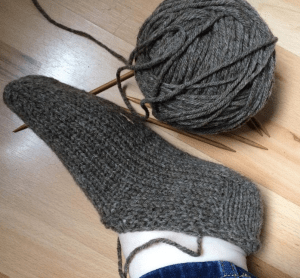 You can hear me review Sue’s Shetland aran in episode 85, I made slipper socks in that yarn and they have had great wear and needed no darning! Birlinn Yarn Company – Another return visitor to the Sunday event, I will be looking forward to seeing Meg Roper and her amazing Hebridean and Hebridean and Cheivot blend yarns again. I have enough yarn for a Breathing Space sweater… but I need to finish my current Breathing Space WIP first! Scotch Tweed – if you are looking to sew for this wool-along, then check out Scotch Tweed. I’ve not seen Angela’s cloths, but heard about her from the Caithness Craft Podcast and I met Angela last year, in the podcast lounge. You can hear Louise Hunt interview Angela in episode 192 of the Caithness Craft podcast. Uist Wool – vending at the main event again and I am very much looking forward to see and squish their fantastic Scottish grown and spun yarns again. They also sell Uist Wool Tweed, which bears the Harris Tweed Orb mark. 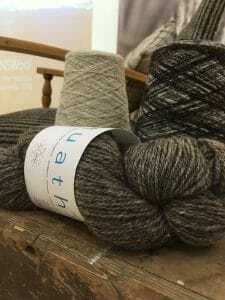 If you are new to the podcast you can listen to me visit Uist Wool back in episode 89. It would take me more than these few weeks to get through my Uist Wool stash, but that probably won’t stop me buying more! Iona Wool – I have now a fair stash of Iona Wool too. Their yarn is made entirely from the islands wool clip and so if you are after a really local, traceable, sustainable wool yarn then look no further! Old Maiden Aunt – vending at the main event since the first EYF, Lilith has an incredible range of hand-dyed yarns on beautiful bases and blends. Her 100% wool bases include Shetland, Corriedale, Merino and BFL and Lilith has also been dyeing Scottish yarn from Uist Wool. If you were lucky enough to snap this up at EYF last year you will know how special it is. Keep your peepers peeled for an update on that from OMA soon! Ripples Crafts – I bought my first Ripples Crafts yarn at EYF2013 (The first one) and I’m cultivating quite a curated collection of her yarns. Helen dyes on wool bases, as well as those blended with silk or neps (so do read your labels for this KAL), but the yarn base of Helen’s that most excites me is Cochrane – a blend of BFL and Scottish Bowmont that is just to die (dye) for. Croft 29 – You may remember I interviewed Stephen and Rachel a couple of years ago. 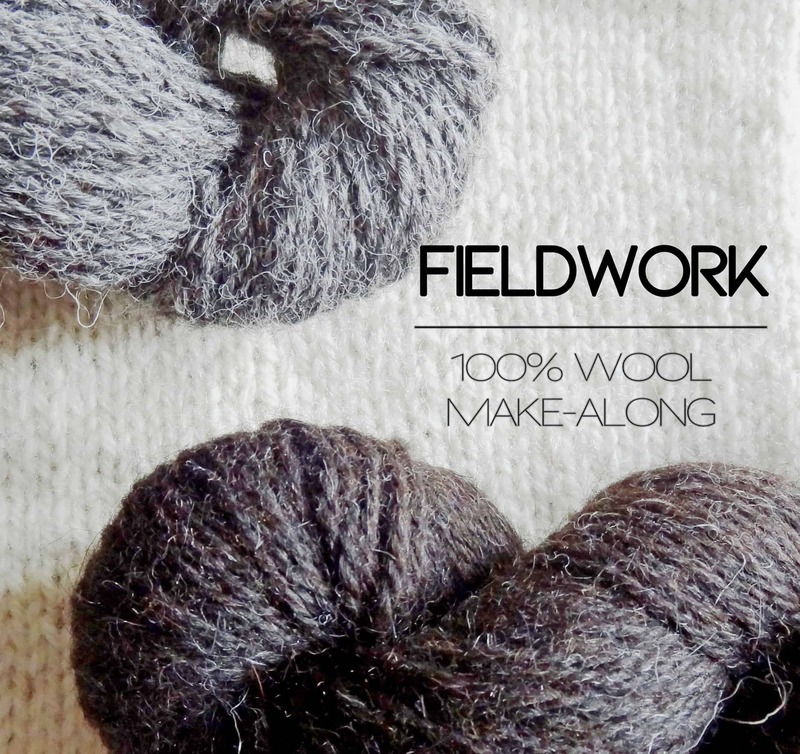 They also vended at Meet The Shepherdess last year and are returning for Make:Wool this year. They will be bringing more of their Hebridean wool and also their new weaving yarn! Midwinter Yarns – Returning to the main event, Midwinter Yarns sell an incredible array of Scandinavian yarns and also their own custom spin Black and Blue BFL yarn, which is grown in Wales and beautifully hand-dyed. Phileas Yarns – Talented hand-dyer Sylvie is making a return to EYF and is bringing her beautiful yarns which are inspired by her travels. Sylvie’s Wanderlust and Backpacker bases are 100% wool (BFL and Cheviot, respectively). 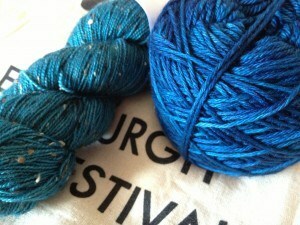 I gave the Wanderlust yarn the KB roadtest and you can read that here. 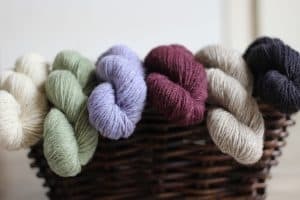 The Knitting Goddess – If you are looking for 100% wool hand-dyed then you can look no further than The Knitting Goddess! Her BFL/Masham is available in 4ply and DK and there are also her two custom yarns, Two Flocks and One Farm Yarn. I know that many KnitBritish listeners have a healthy TKG stash – like myself – so perhaps you have something suitable for this MAL already? If you need reminding about some of Joy’s yarns, myself and the Woolly Muckers reviewed One Farm Yarn in episode 95 and back in episode 75, I interviewed Joy about her Two Flocks yarn. Donna Smith Designs – How exciting that Donna is vending at Make:Wool?? 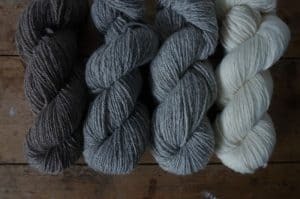 Donna launched Langsoond DK at Shetland Wool Week 2017 and the gorgeous, bouncy 100% Shetland wool has charmed its way into many a stash. Donna and I had a chat on the blog all about Langsoond and her designs in the yarn. Hopefully that has given you a few suggestions and reminded you, if you have some of these yarns in stash already. Do remember that you don’t have to be going to EYF to participate in this KAL. I will also have a few random prizes for FO at the end of the Make-along too.